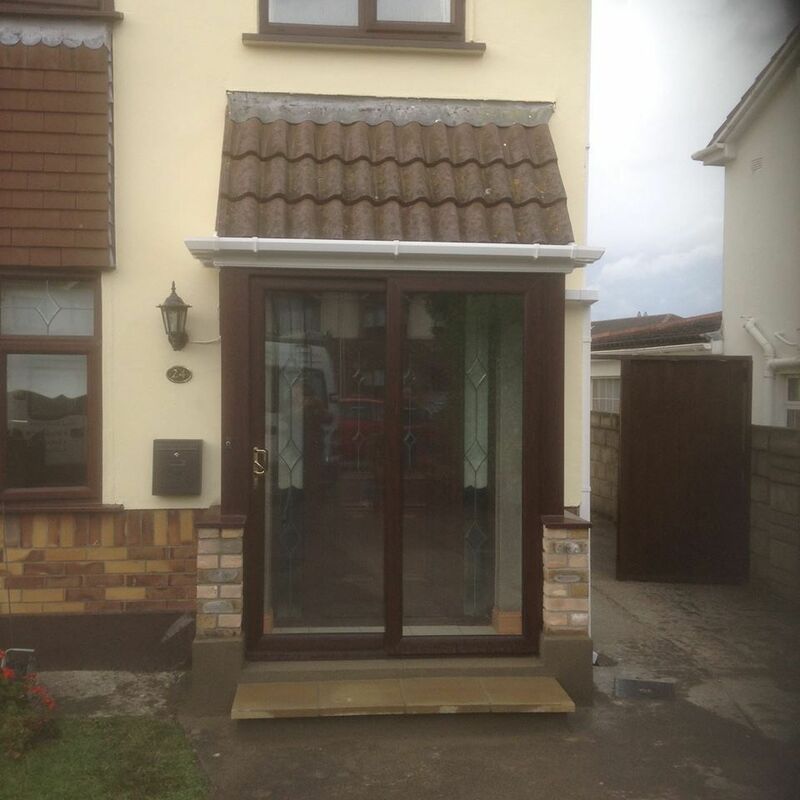 Glass Porch extension will greatly improve insulation and security at your home. 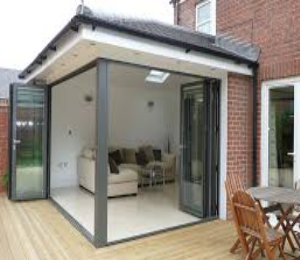 There are many different design options available at Doors and Windows Repairs, sunrooms and conservatories at the rear of your home will add extra space for entertaining family and friends all year round. 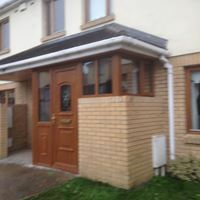 Porch extensions at the front of your home can be installed under existing canopies where suitable, Porch extension constructed under Canopies are easy to install and are great value for small investment, Patio sliding doors, French doors, Bi-Folding doors or Glass Doors are all sensible solutions when designing and constructing your new Porch, Double or Triple glazed Safety units up to 40mm can be installed in our Reinforced uPVC frames. 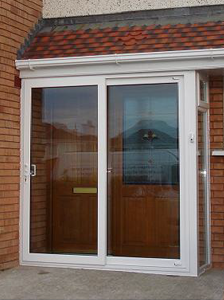 For more information on our glass porch extension service, get in contact with Doors and Windows Repairs today. Multipoint Security Locking systems are fitted in all our Security Door systems as standard Patio Sliding Door, French Doors, Bi-Folding Doors and uPVC Windows are manufactured in a wide range of Sizes and colours for your New Glass Porch, Great care will be taken to match or complement existing Doors and windows in your home. 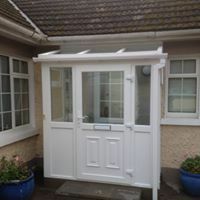 Porch canopies can be solid or glazed in a wide range of design options, The Canopy Roof for your Porch extension will be manufactured and designed to suit your specific needs and Porch design choice. 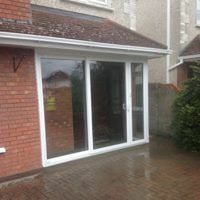 This Glass Porch extension was constructed under an existing Canopy Roof structure, this conversion built on an insulated concrete raft foundation gave our customer 3 sq meters of floor area inside their home. 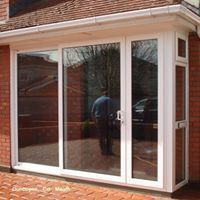 We used a 2 Part Patio Sliding door coupled with 70 mm reinforced upvc windows. 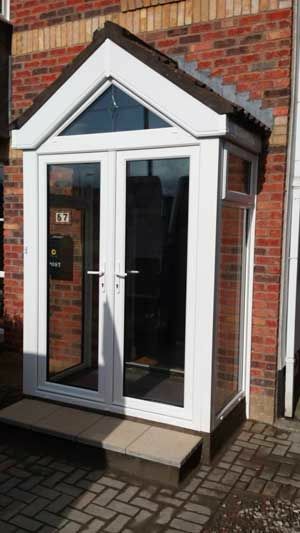 28 mm Argon gas filled safety double glazed units were used in all windows and doors, creating a small sunroom experience and added security. 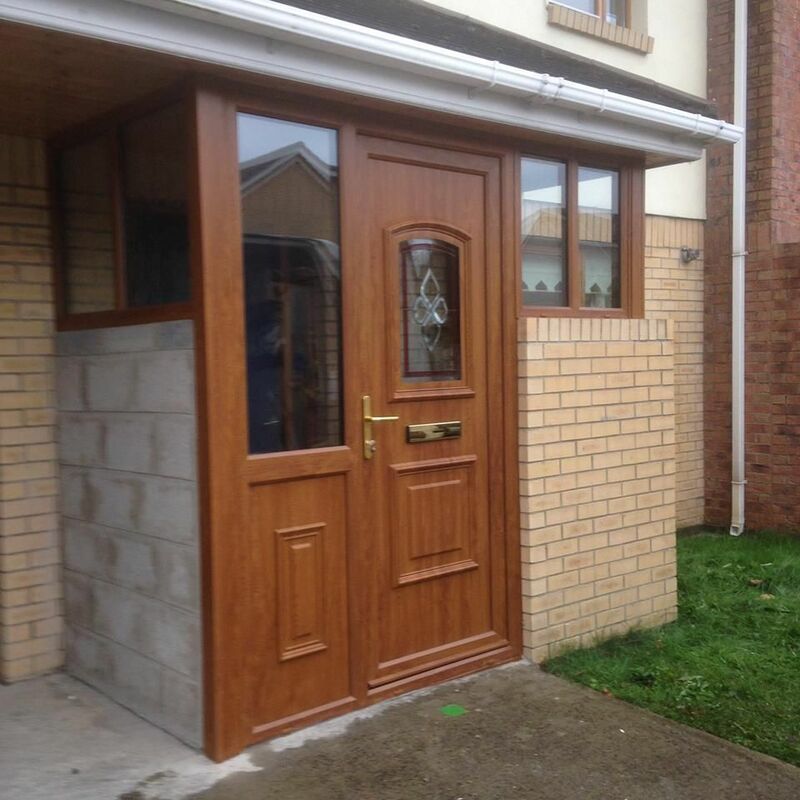 We also replaced their inside timber door with a Palladio Security Composite Door, the conversion was completed in 4 days.This type of Porch conversion is very popular with our customers and secures your home for very reasonable investment If your home has an existing Canopy this type of conversion will bring that space inside your home and also secure your home. Have a customised porch extension installed in your home by the experts at Doors and Windows Repairs today.